Tea leaf reading (or palmistry, can’t really determine which of the two) is probably the first form of divination I was exposed to as a child. 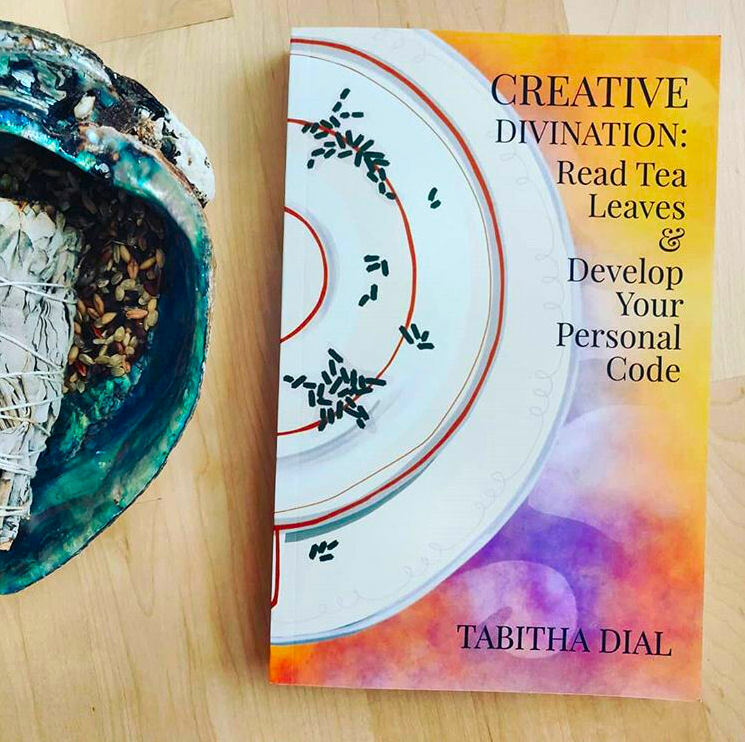 For many personal-shadow reasons, I’ve always rejected it and shirked from any interest in learning more about it, but recently I set the goal to learn and Tabitha Dial’s Creative Divination: Read Tea Leaves & Develop Your Personal Code has been an incredible introduction to the art. Dial herself comes from a creative writing background and is a poet, which is evident in how well-written and organized this text is. Among independently published books in this field, this is one of the more polished and professionally designed. She begins by distinguishing her approach to tea leaf reading from a more folksy fortune telling approach. This book sets forth an approach she calls Creative Divination, which is “related to fortune telling, but arguably more of an exercise in reflection and self-improvement.” Creatives, such as artists and writers, share many traits with psychics and diviners, and Creative Divination taps in to that common denominator process.